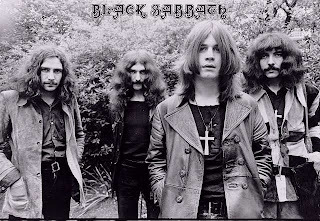 Black Sabbath are an English rock band, formed in Birmingham in 1968 by Ozzy Osbourne (lead vocals), Tony Iommi (guitar), Terry "Geezer" Butler (bass), and Bill Ward (drums and percussion). The band has since experienced multiple lineup changes, with a total of twenty-two former members. Originally formed as a heavy blues-rock band named Earth, the band began incorporating occult- and horror-inspired lyrics with tuned-down guitars, changing their name to Black Sabbath and achieving multiple gold and platinum records in the 1970s. As one of the first and most influential heavy metal bands of all time, Black Sabbath helped define the genre with releases such as quadruple-platinum Paranoid, released in 1970. 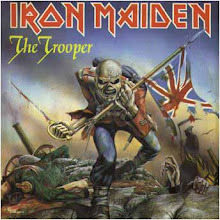 They were ranked by MTV as the "Greatest Metal Band" of all time, and placed second in VH1's "100 Greatest Artists of Hard Rock" list, behind Led Zeppelin. They have sold over fifteen million records in the United States alone. Rolling Stone has identified the band as 'the heavy-metal kings of the '70s'. Vocalist Ozzy Osbourne's drinking led to his firing from the band in 1979. He was replaced by former Rainbow vocalist Ronnie James Dio. After a few albums with Dio's vocals and his songwriting collaborations, Black Sabbath endured a revolving lineup in the 1980s and 1990s that included vocalists Ian Gillan, Glenn Hughes, Ray Gillen and Tony Martin. In 1992, Iommi and Butler rejoined Dio and drummer Vinny Appice to record Dehumanizer. The original lineup reunited with Osbourne in 1997 and released a live album, Reunion. The early/mid 1980s line-up featuring Iommi, Butler, Dio, and Appice reformed in 2006 under the title, Heaven & Hell.